The Army teams NVESD with General Micro Systems to put multifunction video display at all crew stations inside the MRAP mine-clearing vehicle. Now, more than three years later, we can look more closely at the relationship between the Army and GMS that made this project a success. The experience has been eye-opening and demonstrates how effective technology partnerships benefit all stakeholders—including the warfighters whose lives are on the line. The Mine Resistant Ambush Protected (MRAP) family of vehicles, which includes the MMVP Type II, provides Soldiers with highly survivable, multimission platforms capable of mitigating improvised explosive devices, rocket-propelled grenades, explosively formed penetrators, underbody mines and small arms fire threats, which produce the greatest number of casualties in overseas contingency operations. However, earlier versions of the vehicles had disparate systems for each vehicle operator or combat engineer, such as the driver, the second-seat operator for night vision, the gunner who controls the remote turret gun, and other operators managing various functions of the MMVP Type II, sensors, interrogation arm and a semiautonomous robot. Each crew member has a separate mission, which meant that no crew member had access to what the others were seeing and operating. If one were incapacitated for any reason, the others could not take over that person’s role without leaving their own console. As well, each user interface was specific to that station—meaning that another crew member might not immediately be able to operate another’s console interface when needed. These kinds of modern military systems present significant challenges. To make the MVD system possible requires networked, high-performance, interconnected smart display systems, sensors, video processors and a server mounted inside the MMVP Type II vehicles on which to run the Army-created software. This software is hardware-independent and uses a modular, plug-in-based VICTORY-conformant Army architecture—meaning new enabler systems can be added without modifying the existing code. One goal was eliminating the stovepiped nature of individual systems that do not interoperate or intercommunicate. The first challenge was technical. Traditionally, disparate systems come from different contractors and, almost by definition, are not interoperable. For many reasons, including bidding, contract and development times, military systems are typically deployed using computer technology that is one or two (or more) generations behind what is offered in current consumer devices. This MVD application, however, required the processing of extremely high volumes of video encoded as data messages with very minimal delay (low-latency processing), which demanded the best-available and latest-generation technology from the civilian world. For example, servers running Intel’s latest processors were needed; however, they are not battle-hardened. From the operator’s standpoint, delays of as little as a single video frame from when something happens outside the vehicle to when it’s displayed on the user interface can cause motion sickness, because the images lag behind what the operator’s body is feeling in the vehicle. That meant the technology required to take input from the sensors, process it and then display it on the networked crew workstations in near-real time demanded today’s highest-performance digital signal processing capabilities. Another challenge for this MVD program was an extremely tight budget. 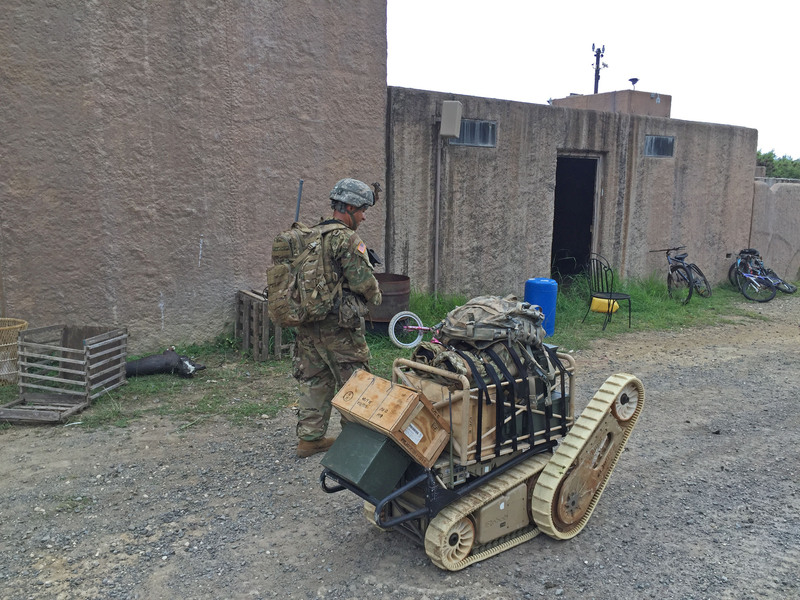 If it couldn’t be completed within the budget, it wouldn’t happen—leaving warfighters without advanced mine-clearing capabilities. As described in the previously referenced article, NVESD decided that using multiple vendors for different system components made hitting the budget target impossible. In addition, it seemed likely that using the traditional subcontractor-prime contractor mechanism would add unnecessary cost. The only way this project could be completed within budget was to have one vendor supply all the necessary hardware components and also informally advise on the system integration architecture. NVESD had several hardware choices to complete the original prototype—from a rackmount server to a rugged workstation. With funding for a commercial off-the-shelf upfront design and improved in-vehicle architecture, GMS provided a proof-of-concept version of its rugged, conduction-cooled server while helping the Army decide that converting the sensor data to video-over-Internet Protocol packets on a network was a scalable approach to the system problem. As GMS evolved its hardware, the Army continued writing its own software while preparing for the eventual integration into the vehicle, a process typically left to a prime contractor. At some point in the program’s evolution, the Army had decided that not only would the addition of a traditional prime contractor add unnecessary expense to the program (and likely push it out of budget), but that it would be the Army that integrated and installed the MVD system into MMVP Type II vehicles. From that point, the Army, following protocol, put the design out for bid in its usual process. 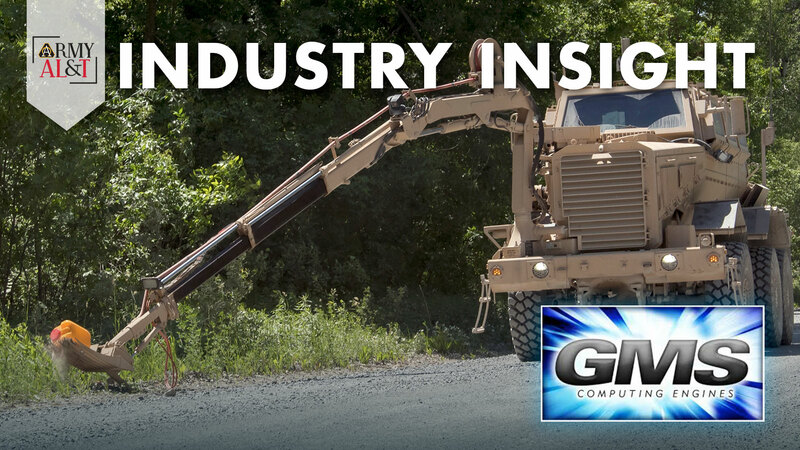 While competitors to GMS were considered—weighing factors such as lead time, price, performance and decades of building similar rugged, high-density, high-performance conduction-cooled systems—in every case, NVESD determined that the GMS system was the best choice and awarded GMS the prime contract in an open competition. Instead of working through a prime—which would have added cost—making GMS the prime contractor allowed the Army to purchase complete and assembled kits with cables and final documentation. The Army would do the integration and installation into the vehicle. Interestingly, even as the Army started the final, open bidding process, the requirements evolved again, requiring bidders and GMS to add performance into the system to meet the new requirements. For example, because the GMS architecture is modular, meaning it is built using standardized “compute engines” that can be independently implemented in different systems, GMS was able to add media converter channels and upgrade from a previous-generation Intel server processor to the Intel Xeon E5 server processor. As described earlier, military systems are typically generations behind commercial technology, but this modular approach allows GMS’ mobile battlefield server in MMVP Type II to use the same processor that is available from Apple in its latest iMac Pro series of desktop computers and can be updated when more advanced processors comes out. The uncommon partnership—with GMS helping to design and build the systems and the Army actually creating the software and then installing it in the MMVP Type II itself—should pay great dividends over time for both the Army and GMS. 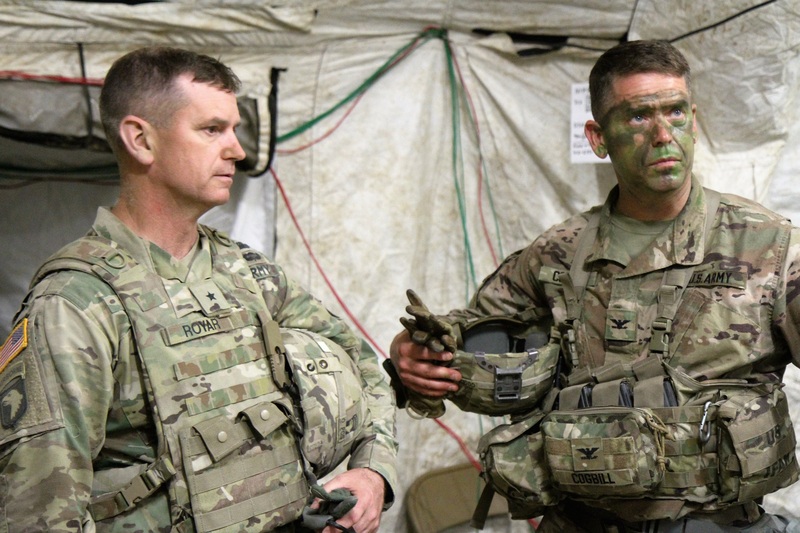 The approach is already saving significant engineering and integration dollars and allowing Soldiers and service personnel to become familiar with installation, networks, servers, video and software—developing additional skills that will be valuable for them after they leave the service.